ROCKY MOUNTAIN AUDIO FEST, DENVER, CO, OCTOBER 4, 2018 — NAD Electronics, a leading manufacturer of premium home audio and video products, introduced the C 588, a turntable for discerning vinyl lovers seeking higher performance. 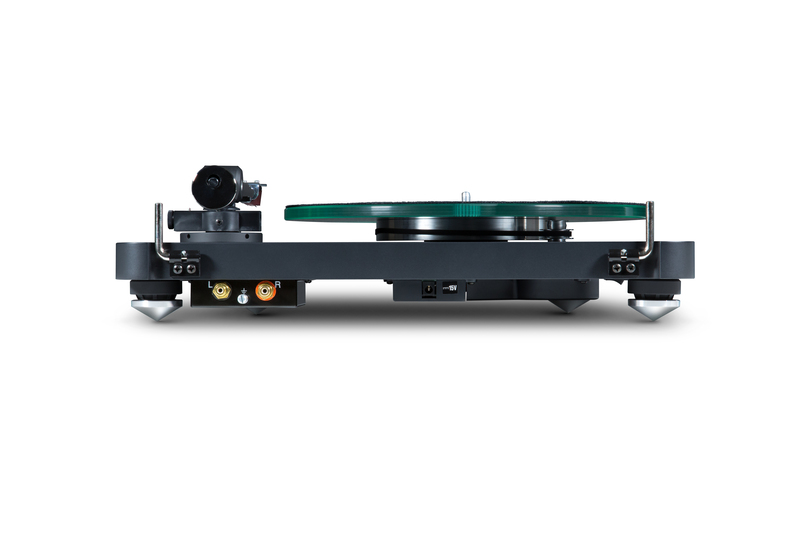 The company’s newest turntable offers several upgraded features such as Belt Drive with Electronic Speed Control, an AC Motor with isolated power supply and a custom-designed Carbon fibre tonearm, to deliver exceptional performance and value for its class. Pre-fitted with the high-quality Ortofon 2M Red phono cartridge, the C 588 will sell for $799 U.S. MSRP when available in November 2018. As with all NAD products, the C 588 turntable prioritizes the engineering investment where it provides the maximum ROI for the consumer. For example, this turntable features a Belt Drive (playing 33 and 45) for maximum noise isolation, a precision AC motor with speed control and isolated AC power supply with universal voltage. Other important features include a glass platter with a felt pad, an MDF plinth (base) and a low resonance dust cover. Having exact pitch (speed) is important but human hearing is much more sensitive to momentary changes in speed which we express with the terms Wow and Flutter. As its name sounds, Wow is a slow cyclical speed variation. The most severe example is the sound of a severely warped record, where the stylus travels faster on the rising side of the warp and slower on the descending side, causing abrupt changes in musical pitch. Flutter is the term used to describe very fast and small variations that are usually generated by the motor. Engineers addressed both of these problems with proven and effective solutions. The C 558’s specialized, high precision, synchronous clock motor is both very smooth and accurate, especially when driven from a stable AC voltage. To ensure a clean and stable AC voltage NAD isolates the AC Mains by first converting it to a clean DC voltage, and then electronically generating the precise AC frequency to regulate the synchronous motor. Using a specially formulated belt to drive the platter further filters and isolates any remaining vibration. All rotating parts are made from aluminium alloy machined to very tight tolerances to eliminate any eccentricity or vibration in the drive system. For extra value, the C 588 is pre-fitted with a high-quality Ortofon 2M Red moving magnet phono cartridge in a 9” carbon fibre tonearm that offers vertical tracking angle and azimuth adjustment. The tonearm length was chosen to optimize overhang and reduce tracking angle error. To perfectly align the stylus NAD provides adjustments for azimuth and vertical tracking angle and even includes a gauge to calibrate the alignment, a rarity at this price point. Reducing all spurious vibrations to a minimum is critical to getting the best result when playing vinyl. Since these vibrations can come from various sources, both internal and external, the materials and dimensions must all be carefully calculated reduce and balance all the resonances to prevent a buildup of energy at particular frequencies. To isolate external vibrations from the loudspeakers or footfalls bouncing the floor, NAD uses a massive MDF base with specially tuned vibration damping feet, along with a thick non-resonant dust cover. 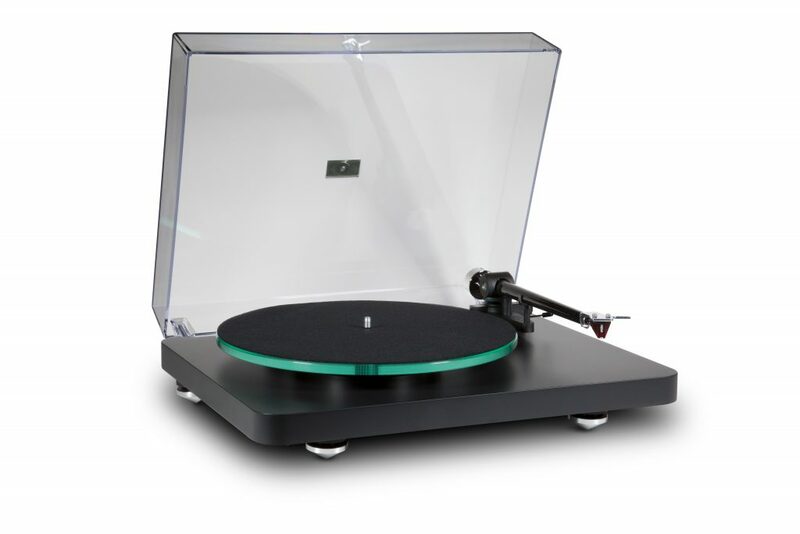 The choice of glass platter, felt pad, MDF base, and carbon fibre tonearm, were carefully considered to work together to limit and reduce spurious vibration. NAD will be exhibiting at the RMAF in Denver, Colorado October 5-7, 2018. Along with sister brands PSB and Bluesound, they can be found in Room 8021 in the Tower and in A23 of the Atrium section of CanJam.